Published March 31, 2017 at 640 × 480 in 4) Dancing Orbs_640x480. 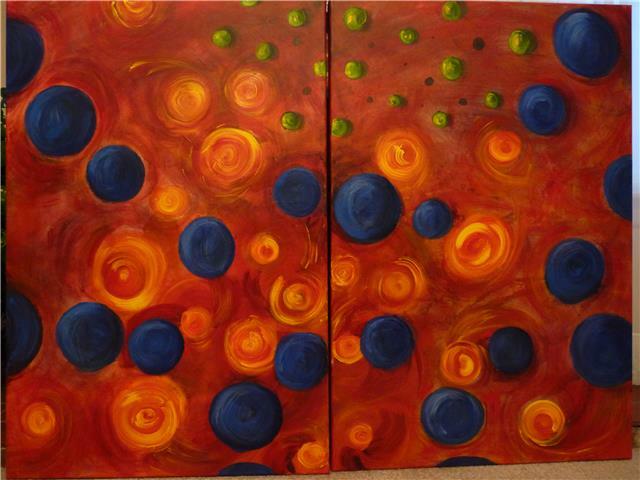 Dancing Orbs 36x48 Hot lava like color with cooling blues, circles are calming shapes, and the contrasting colours makes it dramatic. It has a three-dimensional quality as the orbs bring life into the painting with their magical dance.